Oh no! Tickets are sold out. 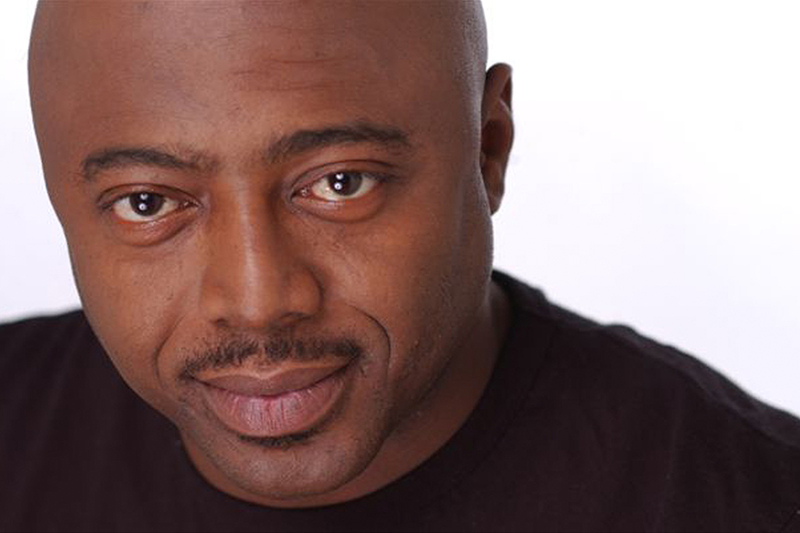 DONNEL RAWLINGS is an overnight success a decade in the making. You’ve seen him on Comedy Central’s award winning and critically celebrated Chappelle’s Show as ‘Ashy Larry’, the 70’s jheri curled ‘Beautiful’, and numerous other characters he’s played. Donnell is the franchise player Dave Chappelle and Neal Brennan wanted as a writer and prime time player on their team. Since Dave Chappelle had business to take care of in Africa, Donnell was asked to step into the huge shoes Dave left behind, and host the Lost Episodes. “Hilarious” is what Linda Stasi of The New York Post calls Donnell’s performance as host. His unique brand of observational humor earned Donnell co-hosting duties On Power 105’s (NY’s #1 Hip Hop and R&B radio station) morning show “Egypt and Ashy in the Morning”. Donnell is currently filming “Reality Bites Back” for Comedy Central, touring heavily with his stand up dates, starring in a series of promotional interstitials for MTV, and has completed 3 films in the past year. He also enjoyed a reprising his character of Day-Day Price on HBO’s Emmy-Award winning series “The Wire” during a 3-episode arc, during the show’s final season (2007-2008). In 2007, Donnell co-created and starred in Heavy.com’s hit web series “From Ashy to Classy”, in which Donnell portrays the loveable yet clueless culture critic, Ashford Lawrence. The series was picked up for a second round of episodes and remains one of Heavy.com most popular shows. Donnell has performed his intelligently bold stand-up throughout the U.S., Europe, and the Caribbean. He has appeared on award winning Law & Order series, Special Victims Unit (SVU) and Criminal Intent (CI) and has also appeared on CBS Third Watch and the Emmy award winning HBO Special: The Corner. Growing up, this Washington, D.C. native used humor as a means of persuasion with the ladies and whipped out his wicked wit as a weapon of mass destruction in verbal battle. While in the Air Force, Donnell’s wordplay shot down more military personnel than the G.I. issued arms. When Donnell returned to the States and settled into civilian life, he decided to check out the local comedy scene in D.C. He quickly became the “official heckler” as he ate comedians alive from the audience. One day a local comedian challenged Donnell to bring his act to the stage. Six months later Donnell was performing on HBO’s Def Comedy Jam. From his weekly guest appearances on New York’s Hot 97 Morning Show, to his role in the blockbuster Spider-Man II and his position as resident “Funny Guy” on the Ricki Lake Show, Donnell rise to stardom may not have been “overnight”, but the journey has given him the life experience to keep his humor edgy and relevant.